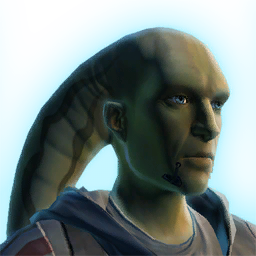 Bewyn Aygo sent you to Nar Shaddaa to make contact with a Balmorran freedom fighter code named Zenith. After hyjacking the Nar Shaddaa holonet you were able to make contact with Zenith. Zenith seemed pleasantly surprised to see the Barsen'thor. He agreed to meet you face to face to discuss some big plans he has been working on. Zenith seems to be impressed with your contributions to his continued effort against Zakuul. He has agreed to a face to face meet to go over some plans he has been working on. Your inital meeting with Zenith did not go well. He broke off contact completely, and even threatened to kill you. He may find you someday, at some unkown location and at some unknown time. But it probably isn't wise to wait around to find out. Zenith needs your help to assault the Star Fortress Orbiting Nar Shaddaa.